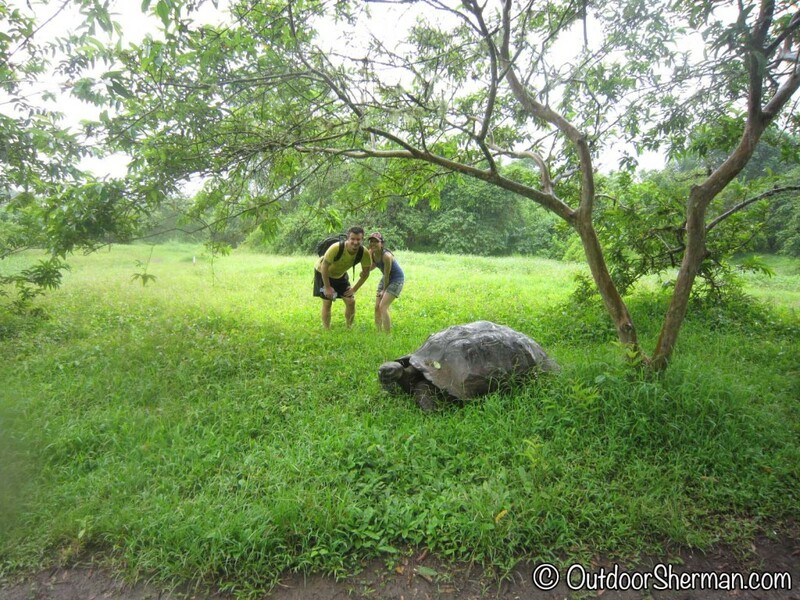 Galapagos: Giant Tortoise & Seafood Pizza ! 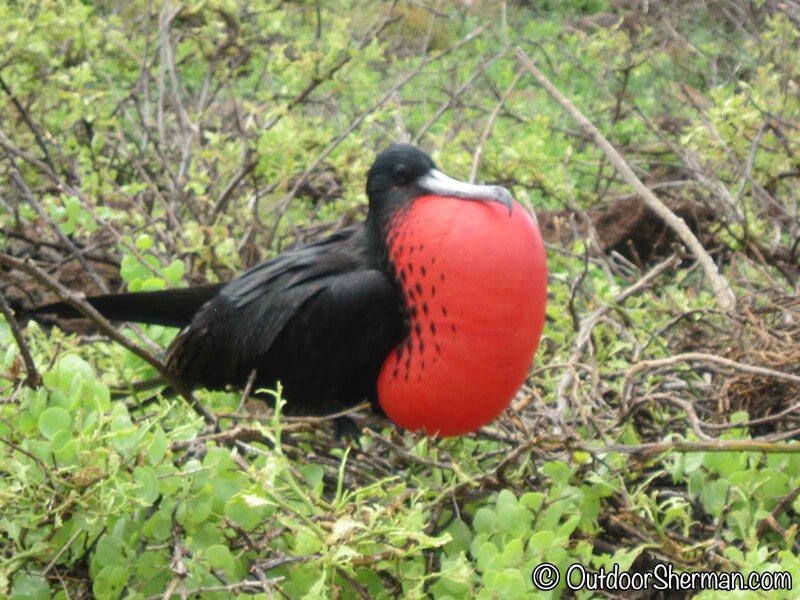 Galapagos Islands inspired Charles Darwin to come up with his theories of evolution. This archipelago of islands is home to many unique species that are found nowhere else on this planet! 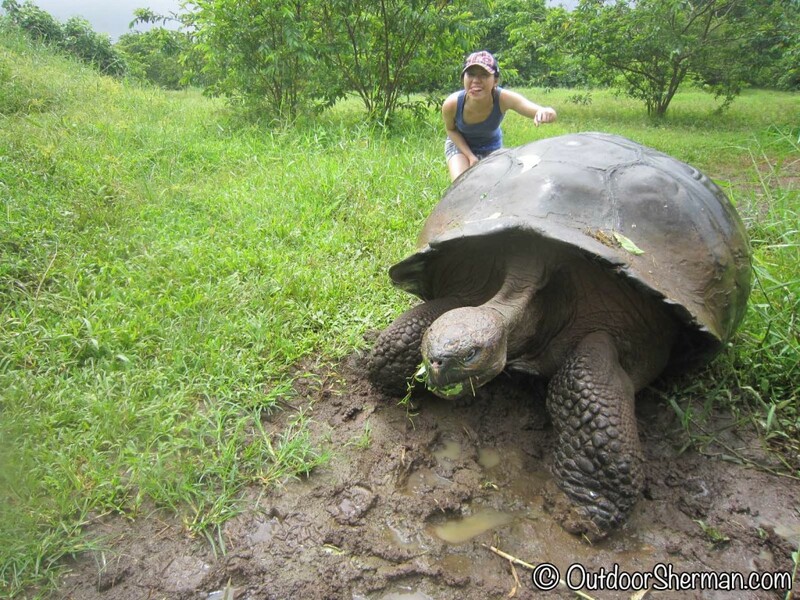 I was super excited before our trip but it only hit me how surreal this all was when I was walking literally 2 meters away from a giant tortoise (see the picture below)! 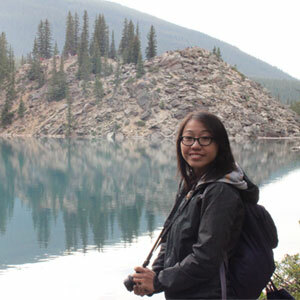 There were simply no words that can describe that experience (okay, maybe words like CRAZY, AMAZING, UNBELIEVABLE did come up…) and it was definitely something that will stay in my memory forever. So from my 9 short days on these magical islands, I’ve narrowed down a few activities that you simply can’t miss! Now that your tickets are booked for your dream vacation to one of the most magical islands in the world, it’s time to pack your bags and get ready for an adventure of a lifetime! One of the most anticipated animals I wanted to see (and I’m sure that is true for you too!) was the Giant Galapagos Tortoise! If you’re hoping to spot a really big one, El Chato Reserve is definitely your destination! 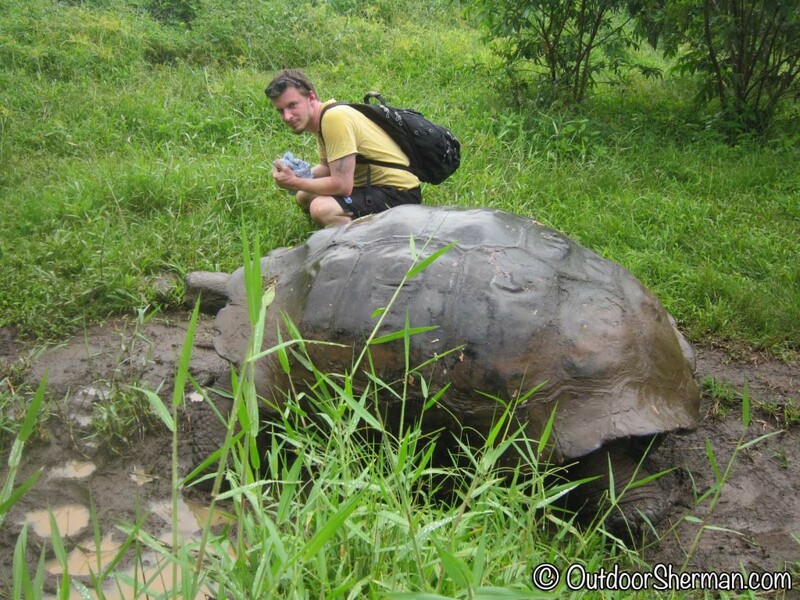 We were lucky to cross paths with several of them but the most incredible one of all was encountering a 180 year old tortoise! He was MASSIVE and wasn’t even scared of us…I think I was more scared of him! 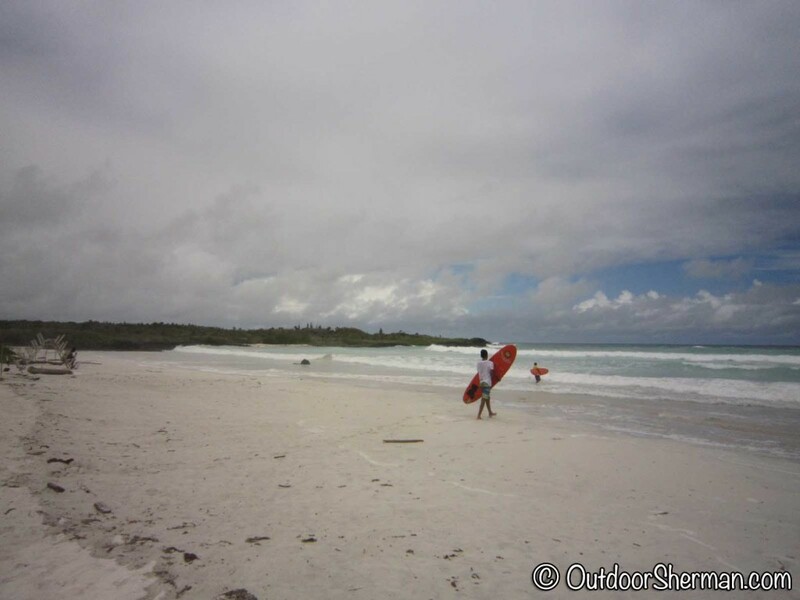 One of the islands that needs to be on your must do list is without a doubt North Seymour! You can only get there by boat and the island only consists of a looped trail but you’ll find yourself surrounding by frigates and their red puff chest. 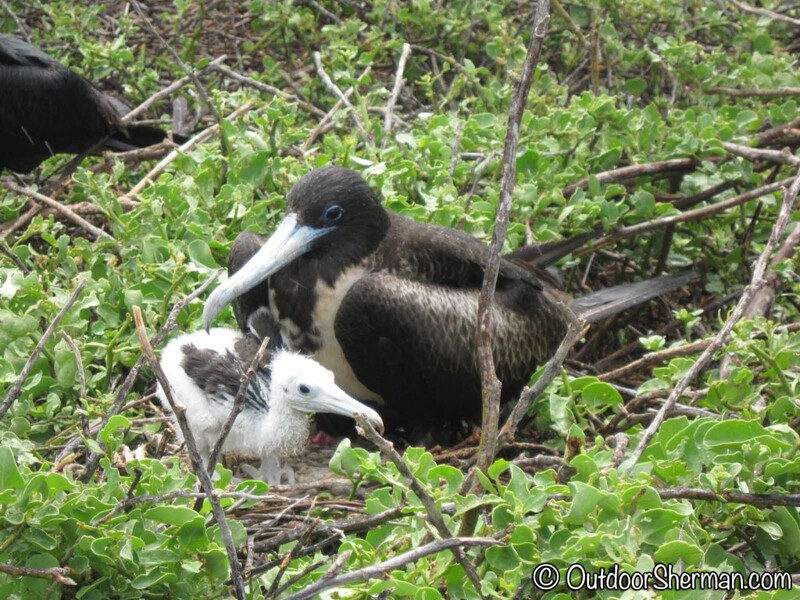 The path directly cuts through their nesting area so you’ll be able to see mommies with their babies and frigates doing mating calls. It was quite a sight! 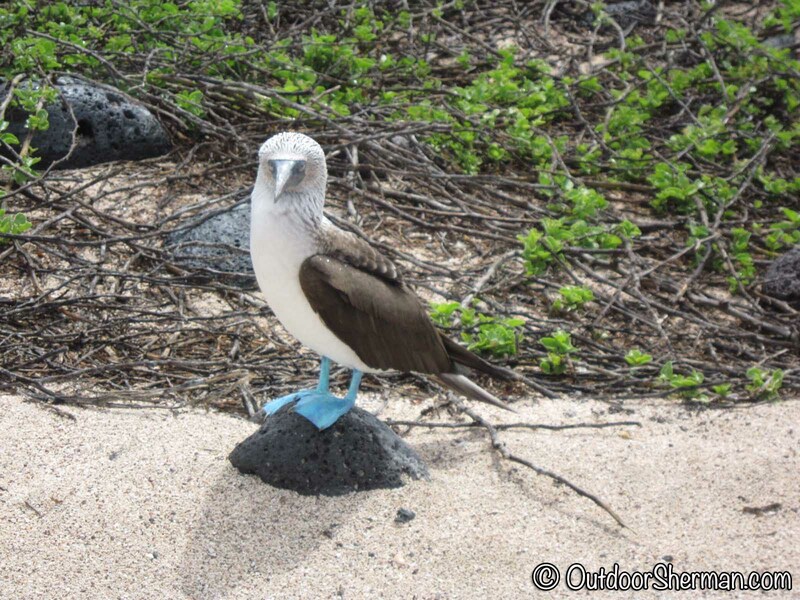 North Seymour is also home to blue-footed boobies! We came across several on them standing on rocks and we were so fortunate to see one of them walk…they are ADORABLE! If you’re looking for a beach to enjoy the sun and go for a dip, Tortuga Bay is your place to go! 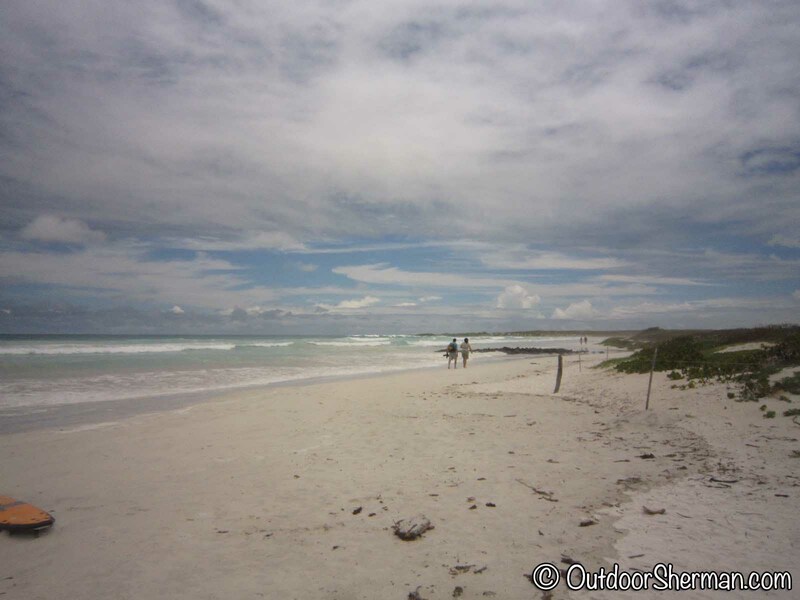 The only thing is, you got to work for it…the trail leading to the beach is a good 2.5 km and goes up and down. We made a pretty bad decision to go around noon and with the sun blazing on top of us and with little shade, it was a pretty difficult walk. Just remember to bring lots of water…there are no stores to buy drinks! Although getting there took a while, the view of the white sand beach was definitely worth it! 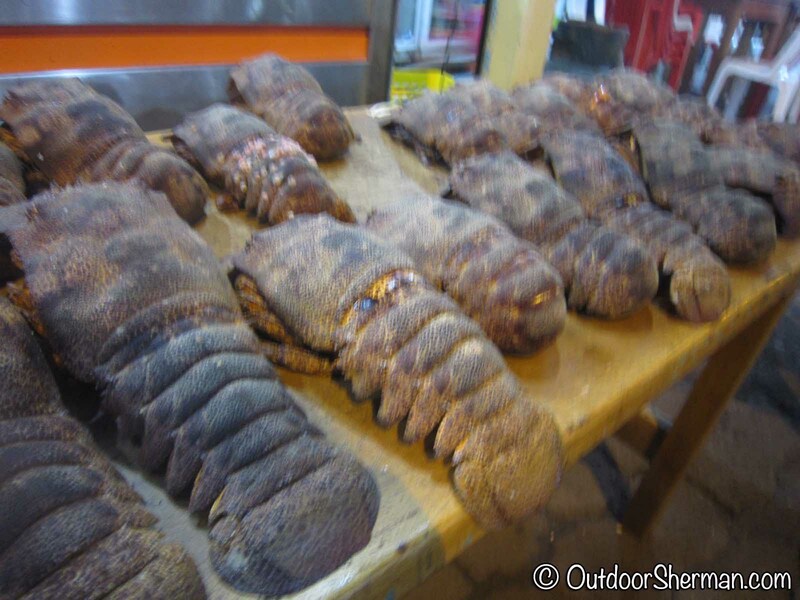 One thing we noticed about eating in Galapagos was how pricey their food and how limited the options were. 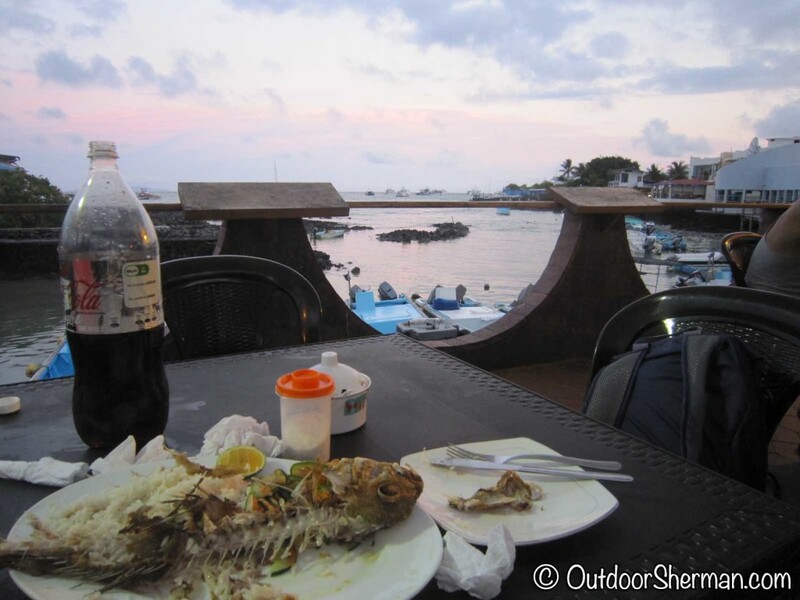 With little to choose from, one of our fave places to go for dinner in Puerto Ayora was La Dolce Italia! You can tell it was pretty good since we ate there 3 times during the 9 days we were there! 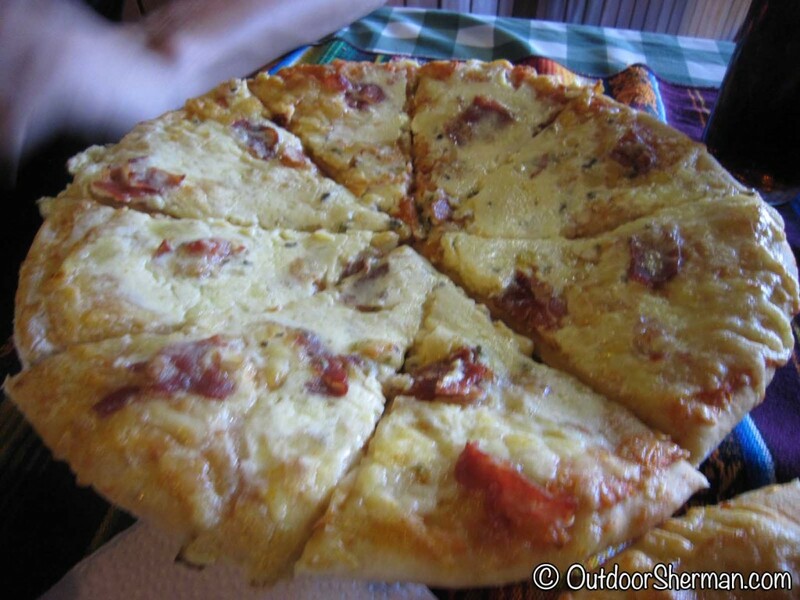 Their pizzas were tasty and we got to try several of them… but our favourite definitely had to be their seafood pizza. 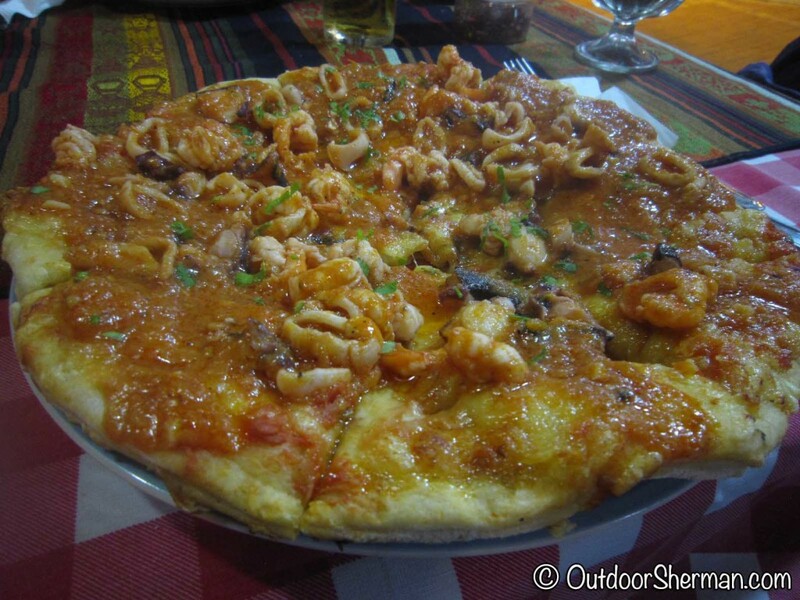 Topped with shrimps and squids and a tasty tomato sauce…it definitely did satisfy our appetite! 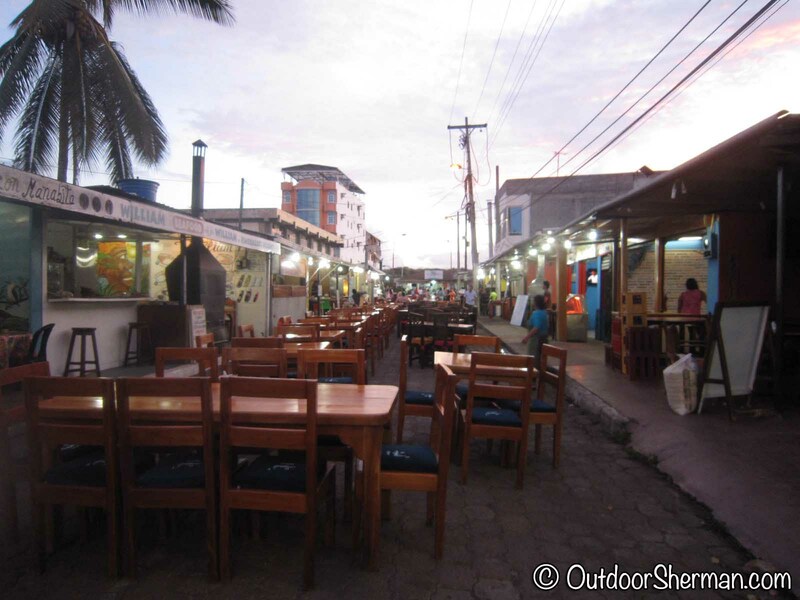 During the weeknights, at the Fisherman Wharf in Puerto Ayora, locals would set up a few plastic tables and chairs and fry their catch of the day. The portions were huge and the fish was DELICIOUS! On top of that, it was pretty cheap! 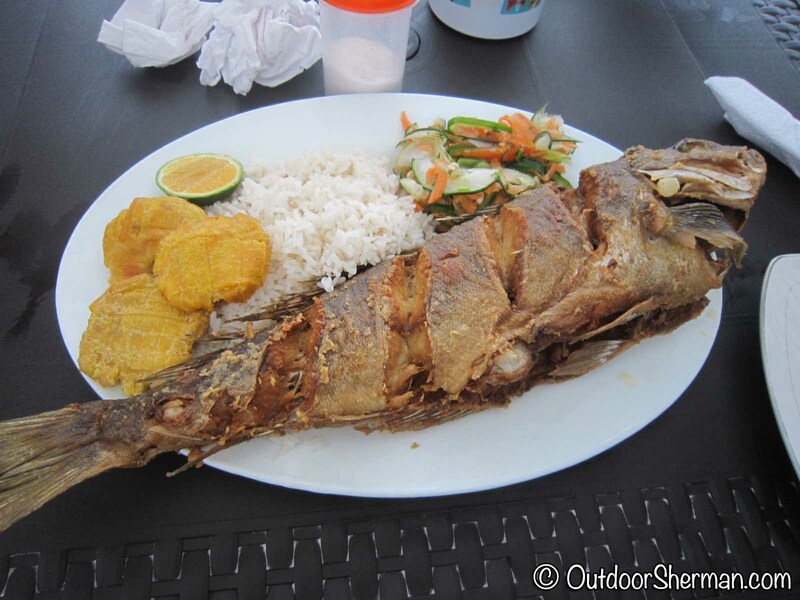 The meal costed $15USD for a large one which included rice, fried plantains, and salad…it was enough to share it between the two of us! 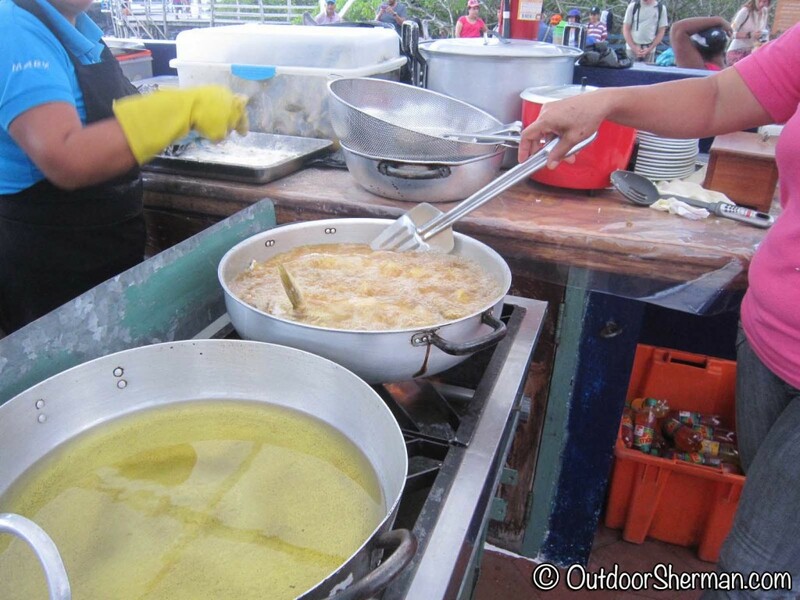 Most of the restaurants are targeted for tourists but if you want to eat like a local, then you have to drop by the Food Kiosks on Charles Binford Street. 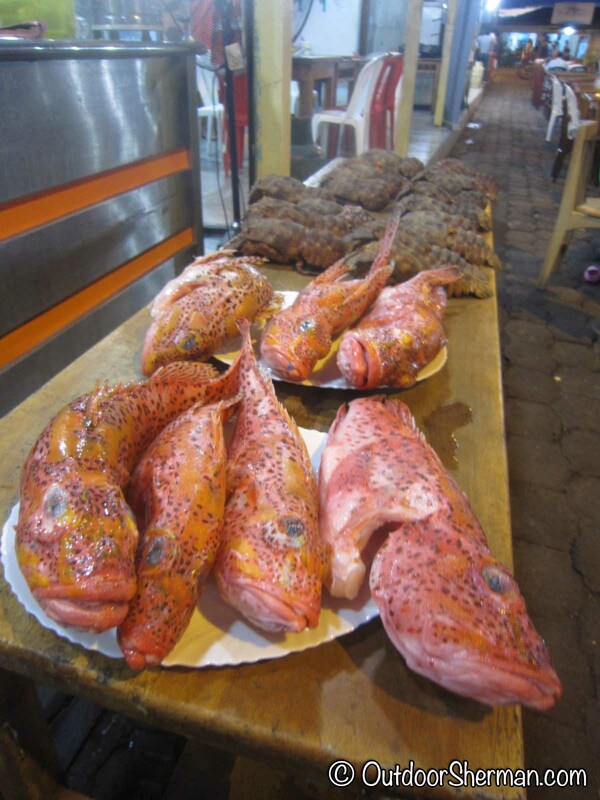 Small restaurants are lined up side by side on this street and during lunch time, they offer cheap set lunches which usually consist of fish or meat. However in the evening during the weekends, this street completely transforms itself as rows of tables and chairs are brought out on to the street, completely blocking off any traffic, thus turning this into a huge exterior food court. We tried their local lobster which looked a bit different than the ones I’m used to seeing in Canada but they were just as delicious!